Eyelashes are some of the most important parts of our bodies because they protect the eyes from any foreign matter like dust and other small debris. If they were not important, some people would never have dedicated their time and money to invent eyelash transplants in case something went wrong with yours. Although long and thick eyelashes have been a symbol of splendour for years, losing your eyelashes, or having very few and thinning eyelashes, should not be the end of the world for you. This is because just like almost everything else, there is always a way around that, beginning with eyelash transplantation and how you can take care of them. Trichotillomania: This is a mental instability disorder which is characterised by the urge to pull out your hair including your eyelashes. This normally leaves one completely without eyelashes, which can be a danger to your eyes. 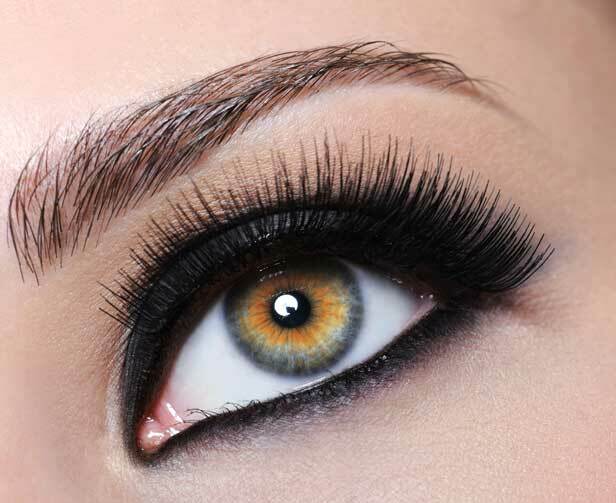 To get better, one should consider seeing a psychiatrist before taking a decision to get new eyelashes. Parasites: Parasites like crabs can infest themselves within your eyelashes leading to higher chance of you losing them. Treating this disorder is of essence if you hope of getting your luscious eyelashes back. Trichiasis: Also known as poking eyelashes, this problem causes the eyelashes to grow in an abnormal manner. Instead of your eyelashes growing facing outwards, they grow inwards and poke your eyes. Infections: A number of culprits cause eyelash infections, but the most common fake eyelash extensions. This is caused mostly by the substances used to attach them or if irritation occurs when they are pulled out. Eyelid tumours: Although very uncommon, eyelid tumours can cause eyelashes to fall out, among other side effects. They occur mostly on the lower eyelid and are usually related to sun-exposure. Alopecia Areata: Thought to attach only the hair on the scalp, alopecia areata also causes your eyelashes and other body hairs to fall out. It is an immune disorder that doesn’t have a cure, but can be treated especially with hair transplant. Chemotherapy: Used a therapy to treat cancer, chemo has a number of side effects with one of the most visible being hair loss all over your body including eyelashes. This is because the treatment targets cells including hair follicles. By preventing situations that affect or cause your eyelashes to fall out is a first step. These situations including using the wrong mascara which can cause infections and as a result causing your eyelashes to thin out. Stay away from fake eyelashes: Some of the substances that are used to attach the fake lashes to your eyelids can be too aggressive at times to the point where they cause infections which in turn lead to your long lashes falling out. Again, every time you remove your fake lashes, they come out with your real ones, causing your natural eyelashes to thin out over time. To avoid your eyelids getting infections or irritations due to make-up like mascara, it is advisable to always wash your make-up off. This way the chances of infections will be less. Eyelash transplant: If your eyelashes have thinned out or gone completely, an eyelash transplant can easily restore them. They will be permanent and natural looking, and you can control how long or short you want them.